Here’s a thought to ponder – clicks are the currency of the internet. Yes, we sell goods. Real money changes hands. People get rich, people go broke, problems get solved. Search queries for the term “conversion optimization” continue to trend upward. Graph via Google Trends. But in our quest for more, we forget a very simple thing. Without clicks, conversion isn’t possible. Sadly, we don’t talk enough about the art of getting more clicks outside the context of “how to write better headlines” or “catchy social media images.” This needs to change. If you want to “future proof” an online business, you don’t need to understand “Social” or “Email” or “Search.” You need to understand clicks. Platforms will come and go, but the internet will always be backed by an economy of clicks. Platforms may be overrated, but it is vital that you understand how your fans and followers use those platforms if you want to have any chance of getting clicks (and later subscribers, sharers, and customers). Well, the same is true online. If you want to get more conversions, you have to understand the environment in which the click occurs. The companies doing this best right now are Upworthy and BuzzFeed. 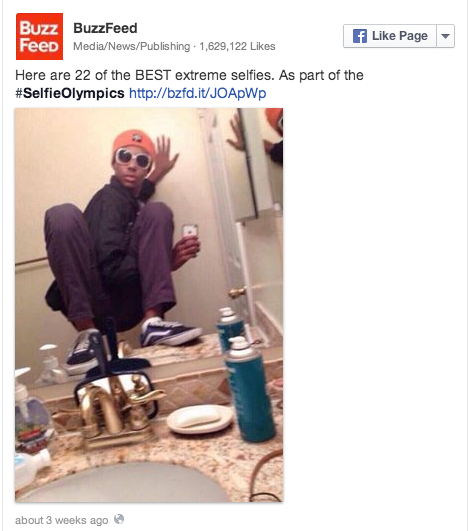 Notice how they didn’t just republish the same thing everywhere BuzzFeed has a presence? Three different channels, three different images, three different(ish) headlines. For a business whose entire revenue model is based on getting eyes on content – so they can sell “native advertising” to Fortune 500 clients – it is imperative that they make the most of each channel. 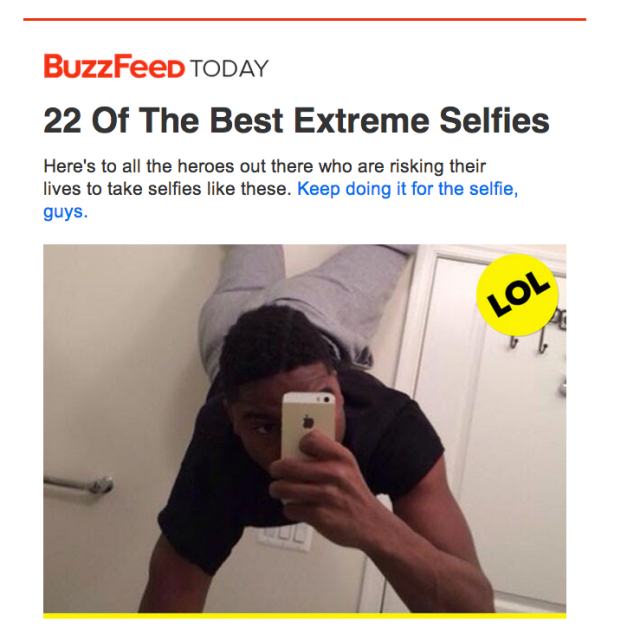 Even though you’re probably not BuzzFeed, the lessons here are tough to ignore. Understanding the different ecosystems isn’t difficult, but it is a lot more work. 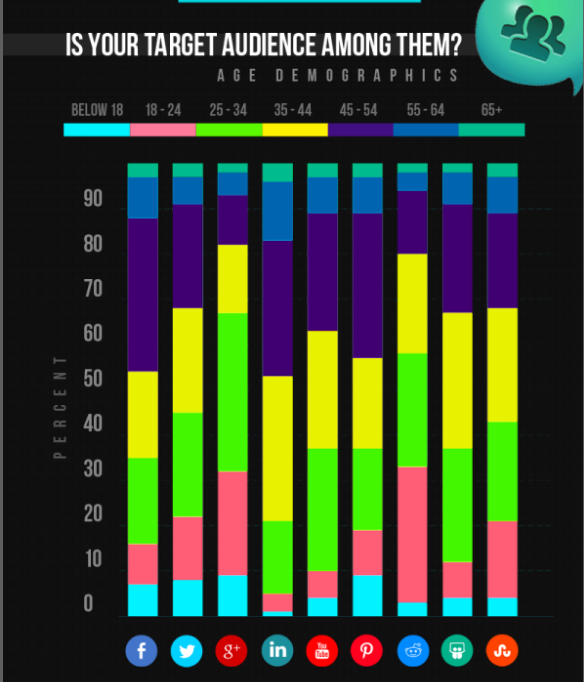 The work involves watching trends within your social media followings, diving deep into analytics data, and paying very close attention to the actions your audience takes. Using Facebook’s Graph Search you can see what Pages, Books, Authors, and TV shows people who are connected to your Facebook page are interested in. 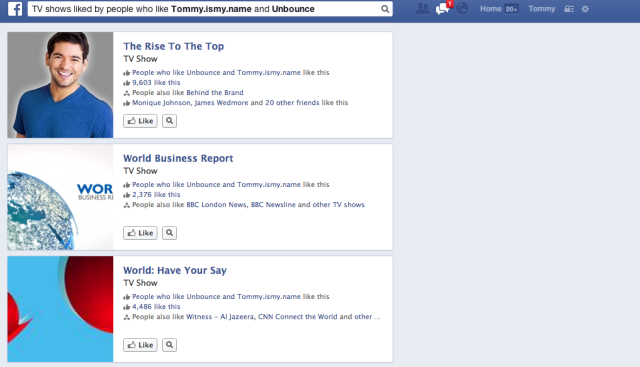 If you “Like” these same pages, and organize them in a separate list, you can get at least a partial view of what your Facebook fans’ feeds look like. Keeping this feed of interests gives you insight into what other branded content your audience is exposed to on Facebook and what else they’re clicking on. 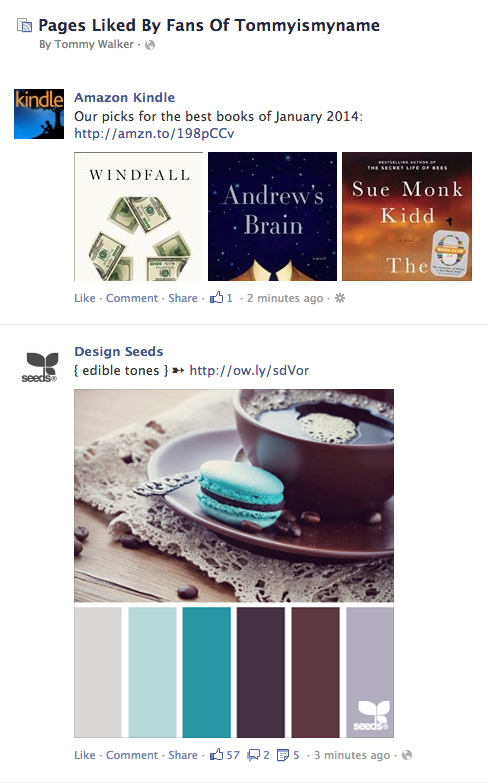 This feed also reveals what other pages are doing to visually appeal to your fans. Facebook posts with images get 39% more interaction on average, so knowing what everyone else is doing can help you design and select images that really stand out – and get more clicks. It’s easy to think only of places like Facebook and Twitter as ecosystems or “platforms,” but so is your website. Don’t believe me? Look at the comments section on any Chris Brogan or Copyblogger post, and you’ll find a whole community of people who know each other and like to banter back and forth. That is a platform. We’re so obsessed with promoting what’s new that we often take for granted the visitors who are exposed to our brand through content we’ve published long ago. Stick with me here, because I’m about to blow your mind. Paying attention to what people click on on your own platform gives you insight into what they might click on in the future. If you know which internal links people are clicking on to go deeper into your site you can replicate that when creating future links. Remember: The deeper readers dive into your content, the more likely they will be to convert to a lead and eventually a customer. Do this: – Open up your in-page analytics report in Google Analytics and navigate to the pages on your site with the lowest bounce rate – these are the pages that draw people in. Look at the internal links that get the most clicks and ask yourself why someone might click that link. What was it about the phrase that made it clickable? This data gives you a better understanding of what those visitors are looking for and can help you create a straighter path for them to click and convert. Start by going to “All Pages” in the “Behavior” section in Google Analytics. Let’s say I noticed a page about “entrepreneur self deception” was receiving decent traffic and that the bounce rate was lower than my site average – I would know that people who come to this page are typically digging deeper into the site. First, I’d use in-page analytics to see how I’ve phrased the links that get the most clicks on this page. I look at this because I want to understand what these people might be looking for. 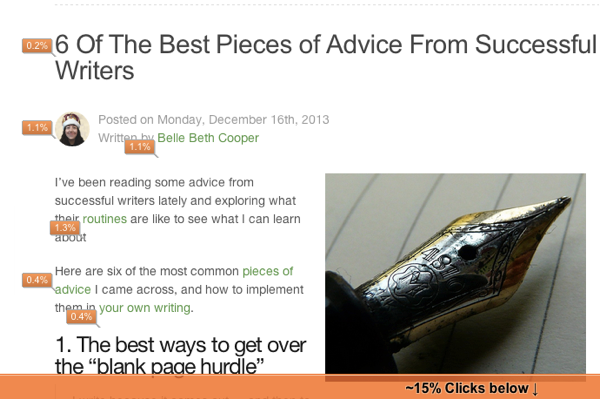 Clicks don’t just happen; if they’re clicking it means they want something. Now that I know where they’re going, I want to understand where they came from. 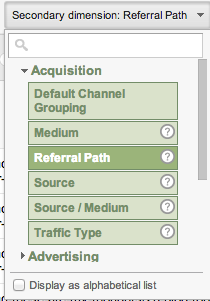 Looking at the “Acquisition” drop-down, I’d look at “Source” and “Referral Path” so I can see the exact websites and external pages that visitors came from. If I want to guide visitors toward a goal, it’s much easier to do this when I know where they’re coming from. Basically, I gather as much information as I can to reverse engineer how they got into my content. For example, if I notice traffic to the “entrepreneur self deception” page is coming from a link within a guest post I wrote a few months back, I’ll re-read the guest post to look at everything leading up to that link and try to understand why the click took place. I’ll also check if that guest post ranks high for a particular keyword and see what other content ranks for that topic – giving me an even better understanding of why they clicked on that guest post in the first place. Yes, this involves a lot of work, but it’s all so I can understand what drives actions and behaviors within my target market. It’s only once we begin to understand what gets people to click that we can really understand what gets people to convert. Tommy Walker is an online marketing strategist, show host, and prolific guest blogger for sites like Unbounce, ConversionXL, Smashing Magazine & more. He specializes in highly effective, counter-intuitive approaches to online marketing, and seeks to expand your thinking on what's possible with online content. Check out his approach on guest post landing pages, and get a free copy of The Top Ten Content Marketing Strategy Mistakes by clicking here.